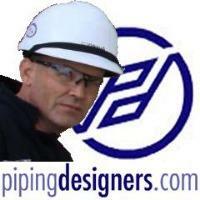 All issues regarding piping design Software should go here. We are pleased to team up with Dave Tyner and the Krew at Digital Plant Design Community. If these guys can't help you out with your Plant Software related questions, then nobody can! All questions, issues and discussions relating to AutoPLANT. All questions, issues and discussions relating to CadPIPE. Discussions regarding piping Isometric software, from the cheap and cheerful to the all singing - all dancing programmes. Let's talk about the pro's and cons of these softwares and what is value for money. Discussions relating to the pros and cons of different P&amp;ID sftware. All questions, issues and discussions relating to PDMS. All questions, issues and discussions relating to Plant 4D.